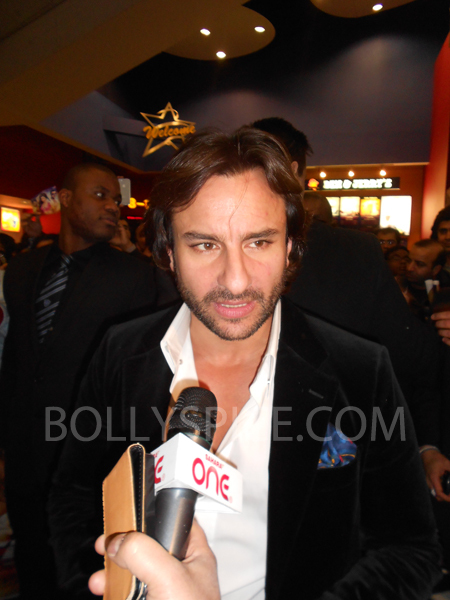 Saif Ali Khan has visited the city of London to promote his upcoming release Race 2. The Bollywood superstar attended a meet and greet event at Cineworld Feltham on Monday, where he signed as many autographs as possible for his screaming fans, and also posed for pictures with them. 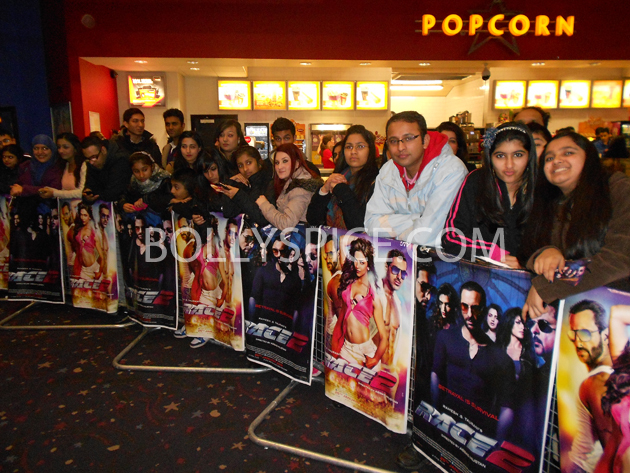 A number of these fans waited hours to see Saif in person! Despite arriving an hour late for the event, Saif made sure that they were not left disappointed and was an absolute professional when it came to interacting with his fans. 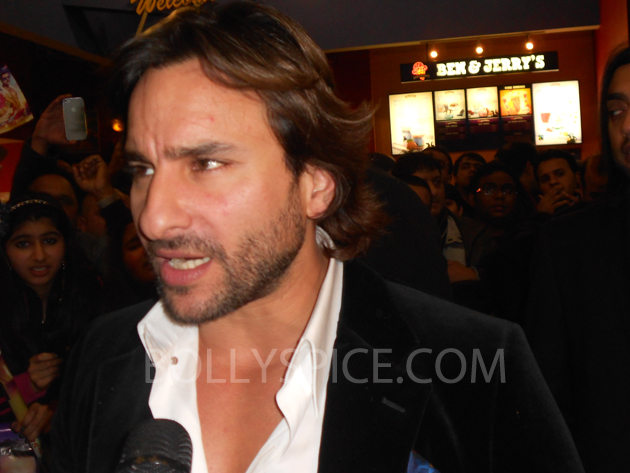 This was Saif’s first ever visit to Cineworld Feltham, which is famous for hosting numerous Bollywood-related events over the years. 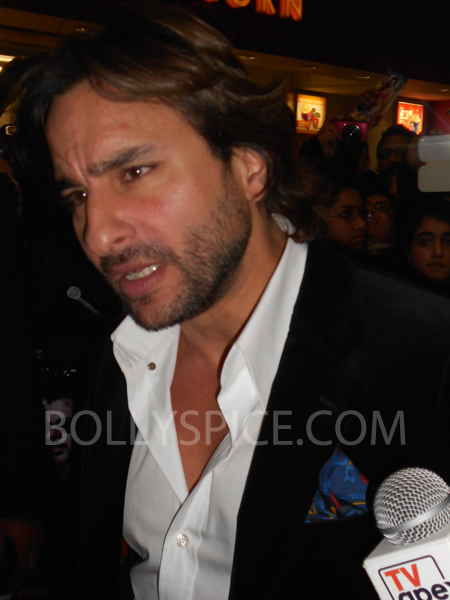 Bollyspice also spoke to some of the fans at the event in order to get a sense as to why they made the effort to see Saif Ali Khan in person. Irfan, who is a huge admirer of Saif’s work, gave us the following remarks. “I’m a really big fan of him. One of my favourite films is Kal Ho Naa Ho and he played a great character in that film. He’s a great actor and I’ve seen him progress over the years, so I really wanted to see him in person.” Rehana, who is another big fan of Saif gave us her reasons for coming to see the superstar at Cineworld Feltham. “I happen to see lots of Saif’s movies. I’m a very big fan so I thought I might as well come and see him in person.” Rehana cites Kurbaan (2009) as her favourite Saif Ali Khan film. Overall, it was a fantastic Bollywood-themed event, which gave 2013 the kick-start that it needed. For all those who are keen on seeing Saif return to action, you can catch Race 2 in cinemas when it officially releases worldwide on 25 January 2013! Check out the cool pictures from the event below! 17 queries in 0.708 seconds.